Written on October 20, 2015 . Posted in Announcements + Updates, Library. It is with mixed emotions that I write this email to let you know that Carol Terry has announced that she will be retiring at the end of this academic year. Prior to coming to RISD as the Director of Library Services in 1987, Carol was a librarian at the Ryerson & Burnham Libraries of The Art Institute of Chicago. 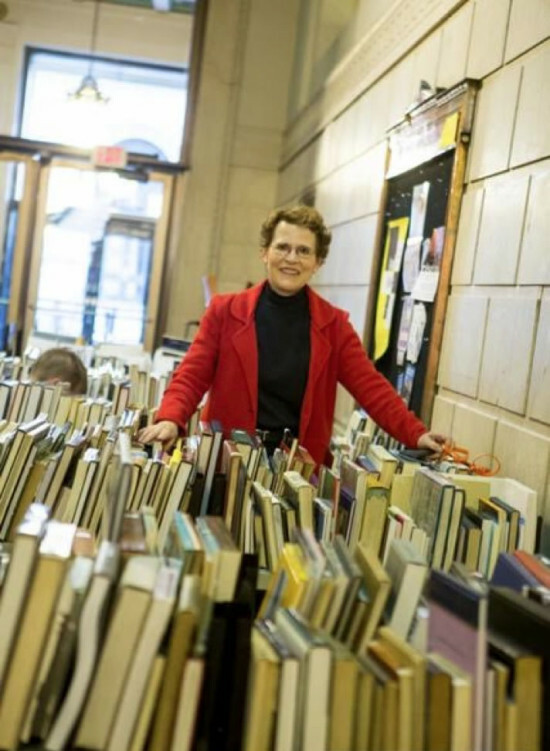 She has been an art librarian since 1971 and has a particular passion for books. She championed and set the expectations for the RISD library to move to its new premises in the Fleet Building, has overseen the introduction of the Materials Library, was instrumental in building the archive, and has been a huge advocate for art and design as well as the teaching and learning that goes on in the school. I feel that I am only just getting to know her well and so I find it sad that she will be retiring, but I am also excited for her as she starts a new chapter of her life. I know that Carol has made some great friends here and I know that she will be missed by many, including myself. Please join me in thanking Carol for her dedication, service, good humour and advocacy for art and design and to wish her the best for the future.